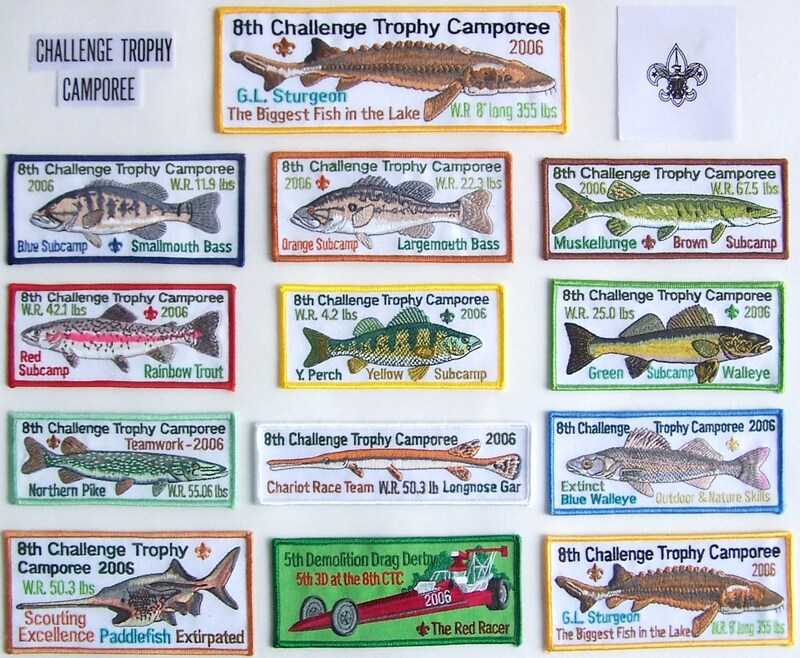 The Challenge Trophy Camporee Patches are popular collectables. 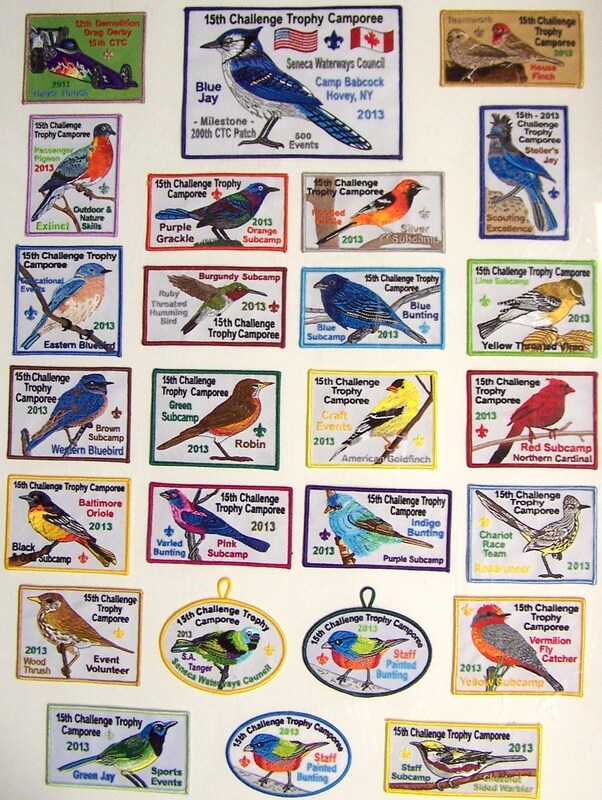 We exceeded the 300 Patch Milestone (designs) at the 19th CTC in 2017. 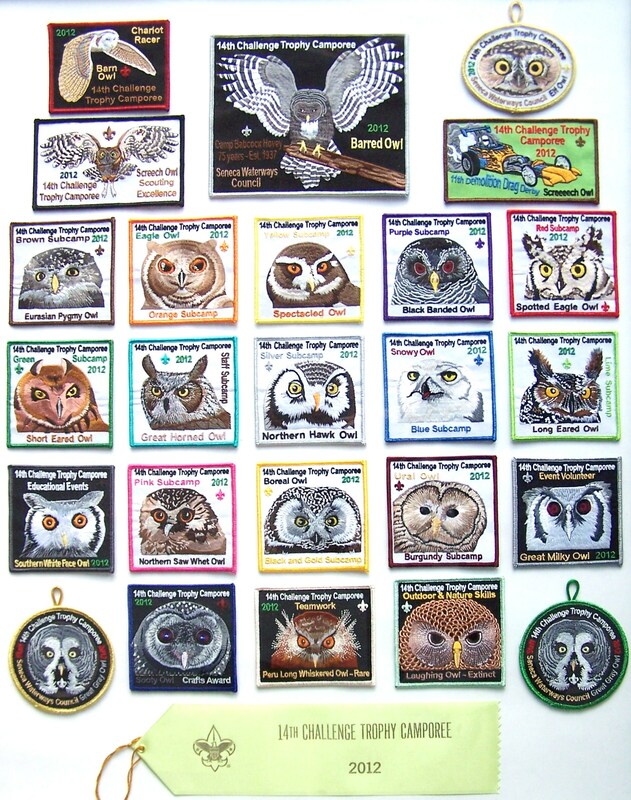 We have a few with 2 or 3 different colored & / or metallic borders, but we consider those as “one patch design”. Check out our collection below. 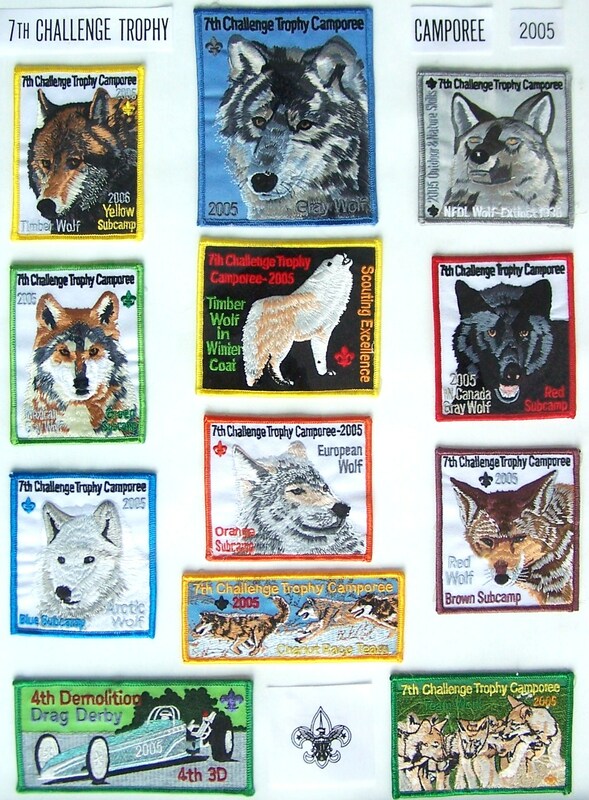 How complete is your CTC Patch Collection???? Open the checklist to find out….. The Account Representative Scouter Doug Reynolds works with is…. The 1st CTC patch below is 3″ by 5″. We had 2 youth run subcamps at the humble beginning of the CTC series. The 2nd CTC patch was made with 2 different color borders. The gold border was used on plaques, staff scarfs, plaques and caps. The brown border was for the attendees. 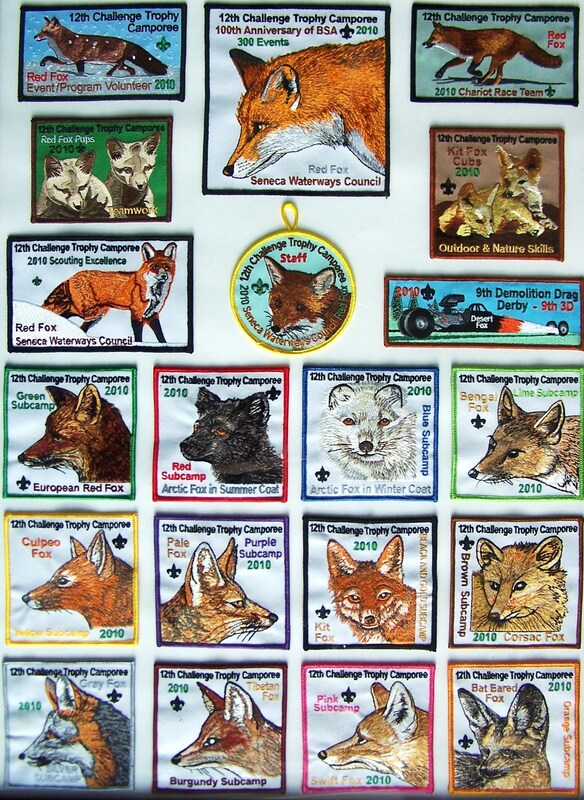 Subcamp Patches were introduced at the 3rd CTC. We ran 4 subcamps. The main patch was made with 2 colored borders. The 4th CTC was sponsored by Otetiana Council for one year. 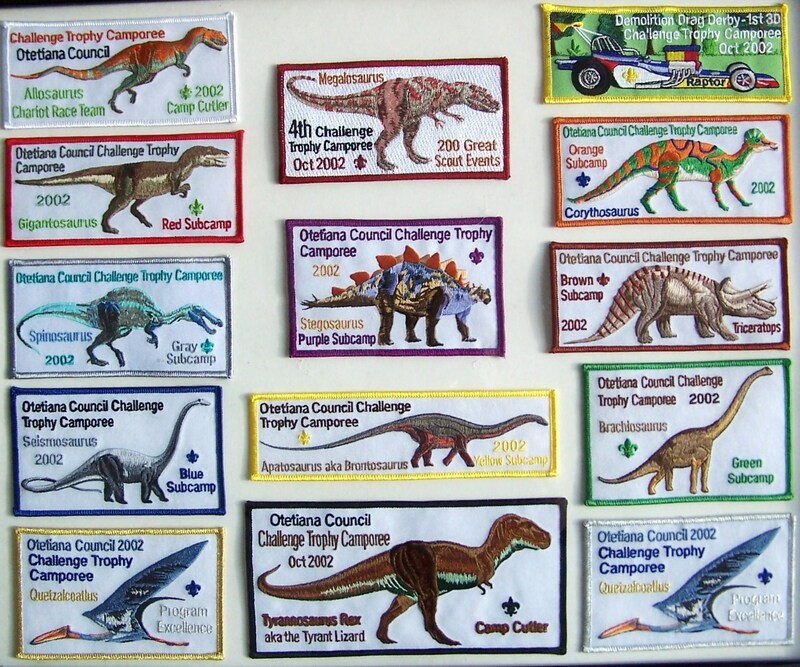 The subcamp patches were increased to 6. TheStaff Trained Patch was introduced. Three new program patches were introduced, Program Excellence, Subcamp Chariot Race, Demolition Drag Derby. The DDD was a new event introduced at the 4th CTC. The Chariot Race was an original event from the 1st CTC. Staff service Pin were introduced at the 4th CTC. 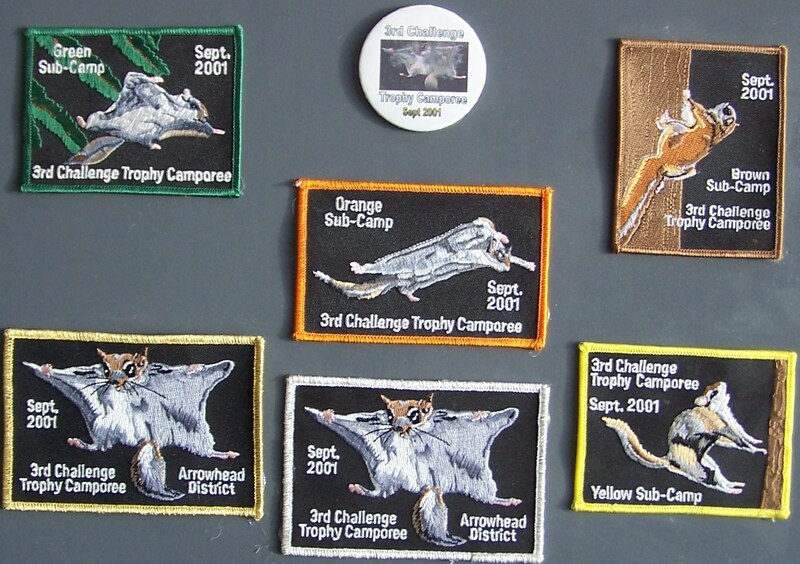 We had 6 subcamps / patches at the 5th CTC. The Perfect Inspection Score patch was introduced. The only patch change at the 6th CTC was the introduction of the Outdoor and Nature Skills patch. The only patch change at the 7th CTC was the introduction of the Teamwork Patch. No patch changes or additions were made for the 8th CTC. 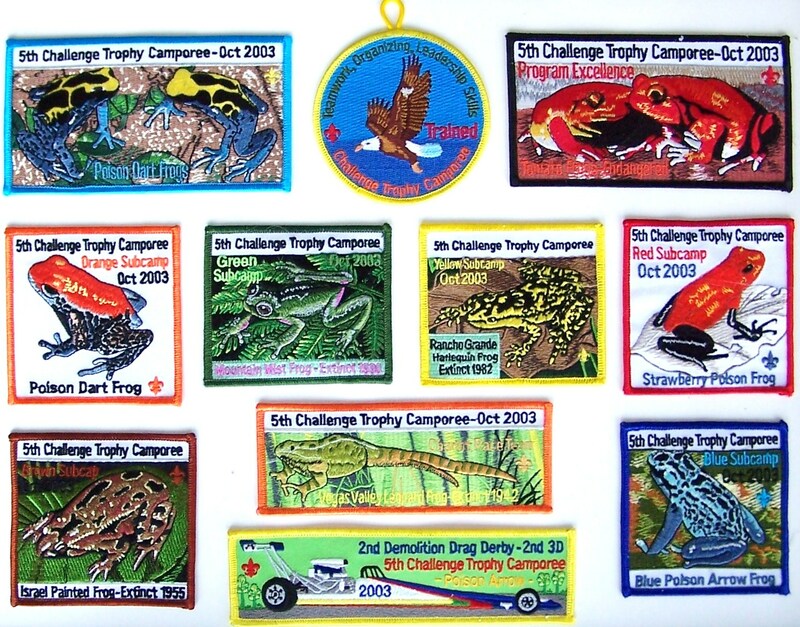 For the 9th CTC we increased the number of subcamps and SC patches to 9. The Event Volunteer Patch was introduced. We recently noticed that we need to the DDD to the 9th CTC collection…. It will be added for the next update. There were no changes to the number or types of patches for the 10th CTC. 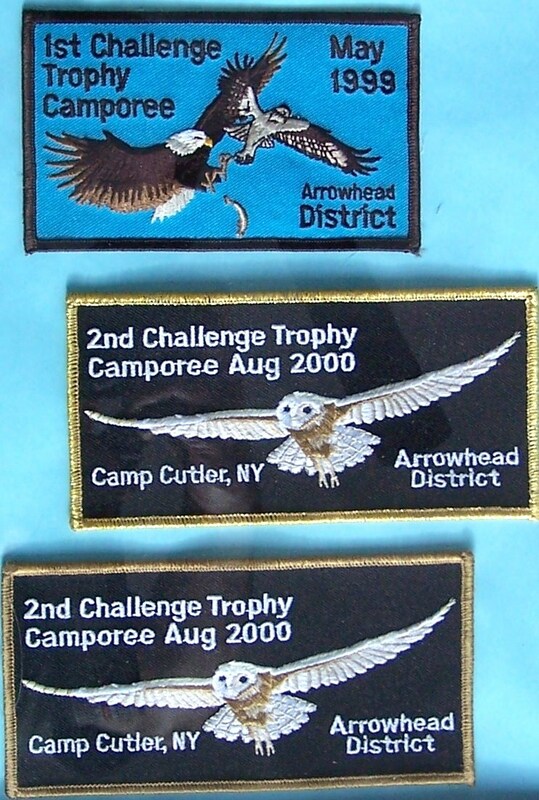 At the 11th CTC we increased subcamps and SC patches to 10. We also introduced a Staff Patch. Otetiana Council and Finger Lakes Council officially voted to merge in Sept 2009. The name selected by committee for the new council was Seneca Waterways Council in late July… pending the vote was yes. Based on the positive feedback that the merger was going to happen, the Staff patch had Seneca Waterways added to it in Aug 2009 in anticipation the vote would be yes… and it was a month later. This patch has become a popular patch for collectors since it is the first patch with the new council’s name on it. 13th CTC Patches. 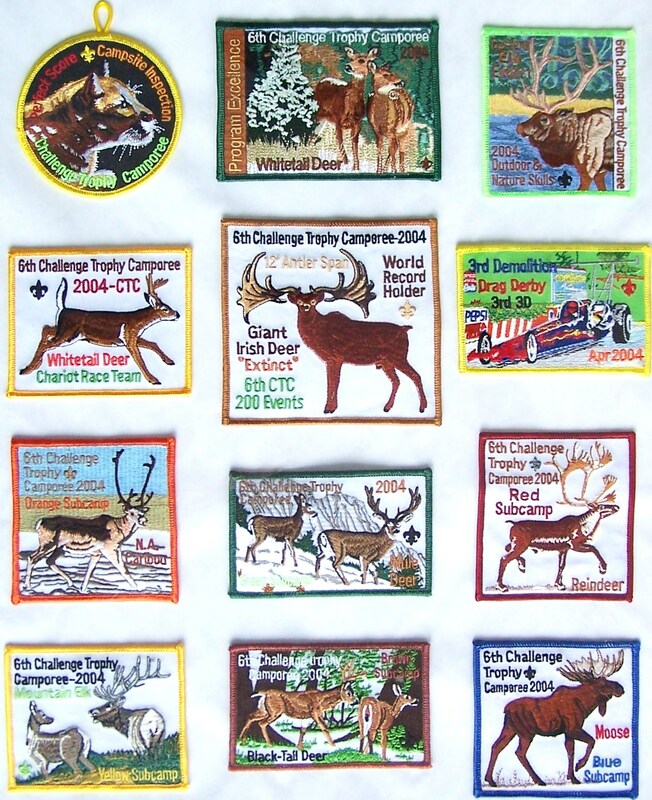 The subcamp patches are 3.5″ x 3.5″. The main patch is ~ 4″ x 7″ The STAFF patch came with 3 different colored borders – Green, black and brown. Only one is shown below. 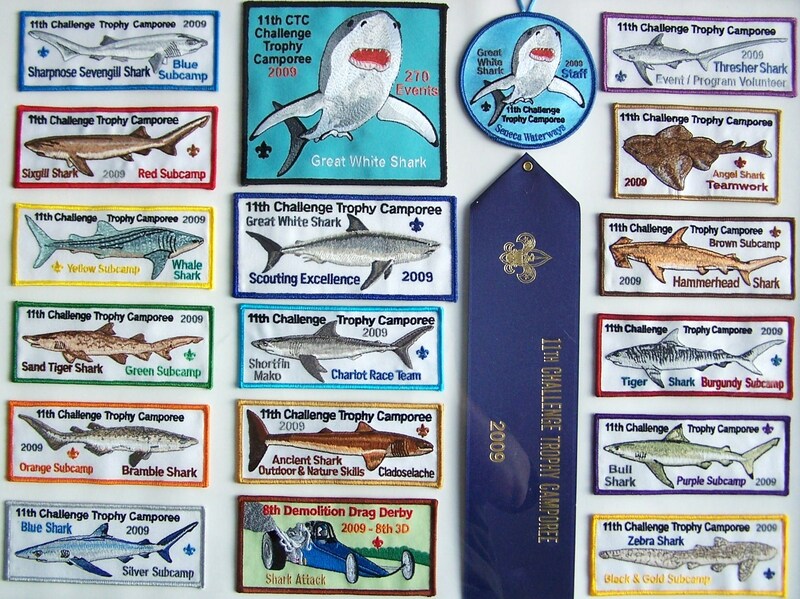 14th CTC Patches. We added 3 new patches – Educational Events, Craft Events, and an oval Day Pass patch with a button loop. 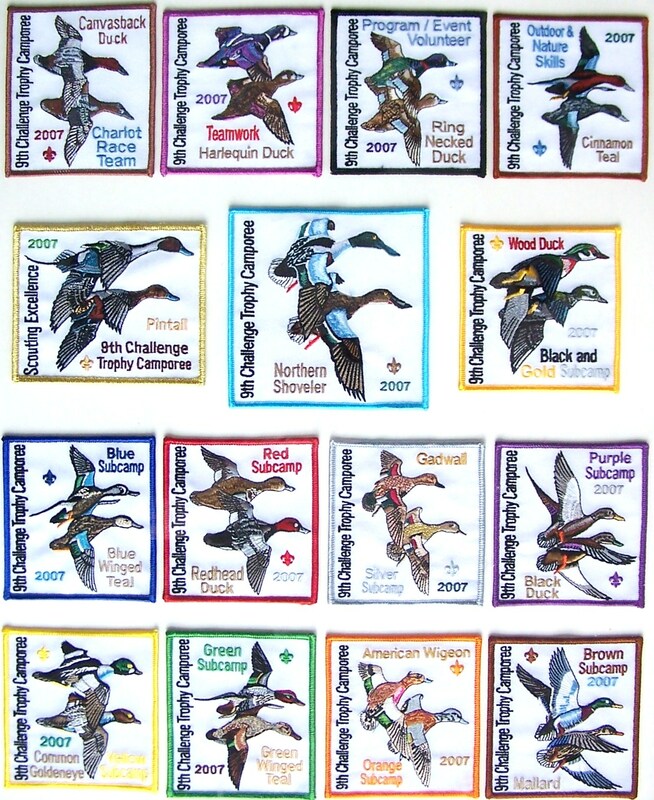 The subcamp patches are 3.5″ x 3.5″. 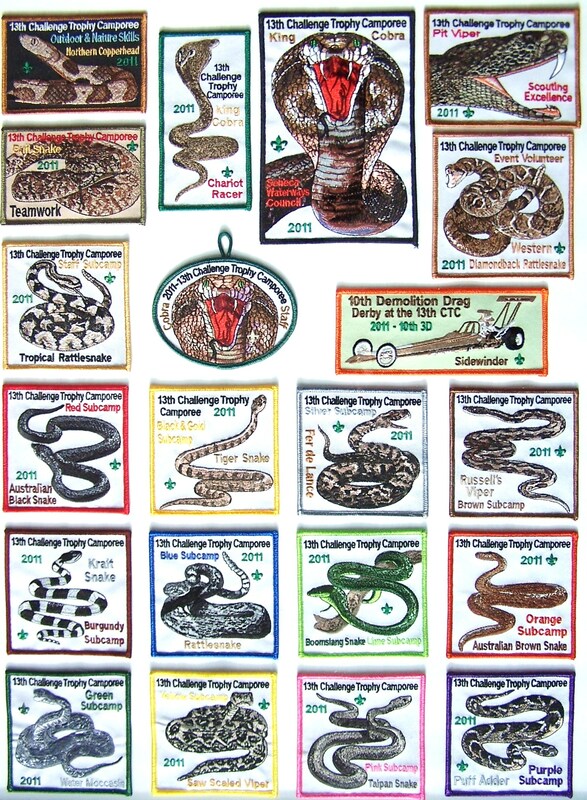 The large main patch is ~ 5″ x 6″ and this one set a record when selling on Ebay for $42.00 a few months following the Camporee. An unknown seller was lucky to find 2 or more bidders that wanted it really badly….. If you have additional updates, let us know and they will be added to the website. So what is coming in 2016 at the 18th CTC? Dinosaurs! 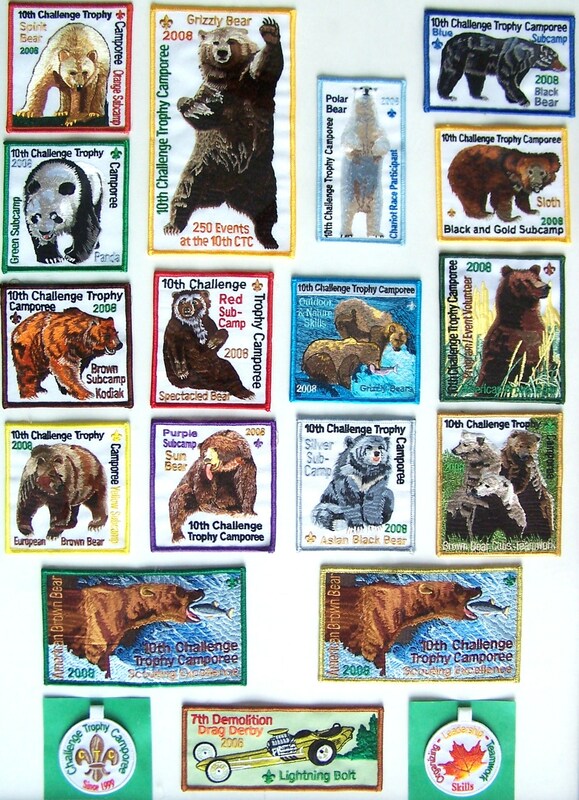 Below is the 19th CTC patches showing all 37 patches. 28 in the set, plus 8 special limited edition metallic border patches, and the new CTC cap patch = 37 in total.